Mary Olsen Kelly ia a breast cancer "Sur-thriver"
Mary Olsen Kelly was diagnosed with breast cancer in 2000. On her path to defeat her cancer, she went through two surgeries, eight rounds of chemotherapy and seven weeks of radiation. Little did she know that her experience would be the beginning of a new journey of spreading hope and support to other women and men fighting to beat the disease. Wanting to express her many conflicting emotions (fear, hope, confusion, exhaustion), she turned to writing as a form of therapy. Soon she realized that she had so much knowledge and content to share with her fellow fighters and survivors and compiled notes into a “tools and tips” list that she would pass along to individuals at support groups and speaking engagements. She is a popular speaker at hospitals, women’s health centers, women’s organizations, medical conferences, and on cruise ships. 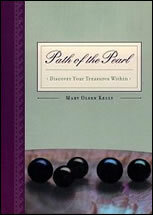 Today, Mary has published three books dealing with breast cancer and healing, including Path of the Pearl: Discover Your Treasures Within, #1 Best Tools and Tips from the Trenches of Breast Cancer and Chicken Soup for the Breast Cancer Survivor’s Soul. Mary is a pearl expert. For the past 22 years she and her husband co-own a fine jewelry store on Maui called the Black Pearl Gallery. Mary developed a deep connection with the pearl, believing that each individual possesses the ability to go through an incredible transformation when up against a life threatening experience, much like the beautiful pearl created by an oyster under attack from an invader. 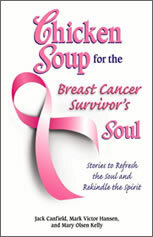 Mary hopes that individuals who pick up her books are inspired to find the gifts of beauty in their own breast cancer journey, and survive the disease as a transformed individual.